An impressive sterling silver bangle cuff from TEGO crafted from thick gauge square sterling silver wire. 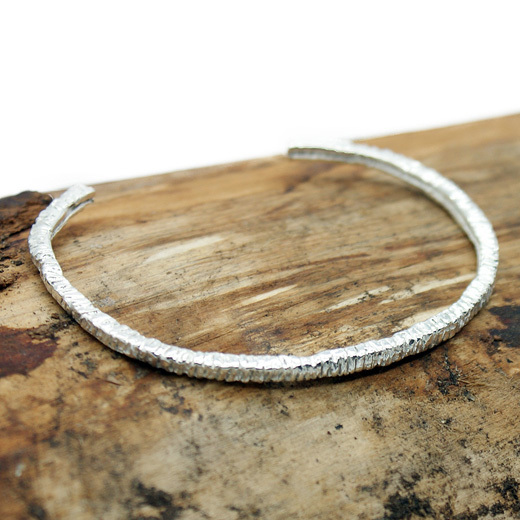 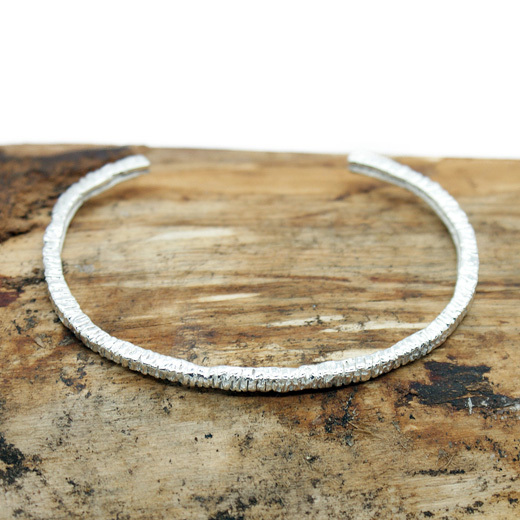 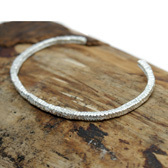 The bangle is hand hammered for texture and finish and is made entirely from 925 sterling silver. This eye catching bangle cuff could be worn alone to make a statement or added to a stacking bracelet collection. 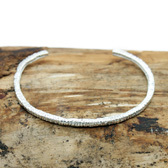 The style of bangle is stunning and has a unique finish.